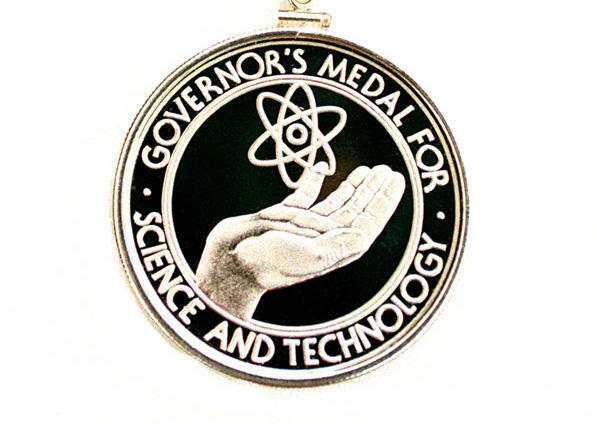 College of Agriculture and Applied Sciences faculty members Debra Spielmaker and John Morrey are among the 2017 recipients of the Governor’s Medal for Excellence in Science and Technology. Terry Messmer, a professor in USU’s Quinney College of Natural Resources and Extension wildlife specialist, is also being recognized with the medal this year. The honor is awarded annually to selected residents and companies that have provided distinguished service or made significant contributions to Utah’s advanced scientific and technological knowledge, education and industry. John Morrey has built a career understanding and fighting viruses that cause devastating diseases. He is a research professor in USU’s Department of Animal, Dairy and Veterinary Sciences and director of the university’s Institute for Antiviral Research, which marked a milestone last year of having acquired more than $107 million in research funding since the institute’s founding in 1977. The institute’s core of faculty scientists, technicians and student researchers have used this funding to study viruses, including Zika, West Nile, hantavirus, avian influenza, swine flu, SARS, yellow fever, dengue and others. They also test possible treatments and vaccines that are important in treating diseases worldwide. Morrey’s own research of the past several years has focused on West Nile virus. With funding from the National Institutes of Health, Morrey and his team have made important discoveries about neurological disease caused by West Nile virus. His work has led to world-recognized advances in understanding and treating viral diseases of the brain and liver. His productive career has resulted in 132 peer-reviewed publications, primarily in the areas of virology, neurology, immunology, and therapeutics. In addition, instructional videos on recombinant DNA laboratory techniques produced by Morrey’s private venture have been used by scientists worldwide. Debra Spielmaker has been an educator for more than 30 years, starting as a high school and middle school agricultural science teacher. She directed the Utah Agriculture in the Classroom program with USU Extension for 18 years, and provided professional development to over 15,000 K-12 practicing and pre-service teachers. She developed a comprehensive, dynamic and nationally recognized Agriculture in the Classroom program. Resources she developed for the Utah K-12 science core curriculum standards use agriculture as a context for learning science related to weather, soil, water, land use, microorganisms, genetics, sustainability, environmental science, and plant and animal science. She is currently director of USDA’s National Agriculture in the Classroom program and also a professor teaching and conducting research with practicing teachers enrolled in graduate programs in USU’s School of Applied Sciences, Technology and Education. Spielmaker has been project director for the USDA-National Institute of Food and Agriculture’s (NIFA) Agricultural Literacy program since 2012 and is responsible for all national electronic resources, the Agriculture in the Classroom National Agricultural Curriculum Matrix, professional development, and agricultural literacy research. In 2015, she completed work on the new Utah seventh grade required course, College and Career Awareness. She was responsible for the development of project-based learning instruction integrating STEM and careers as well as teacher professional development. Read more about these outstanding faculty members and their work.